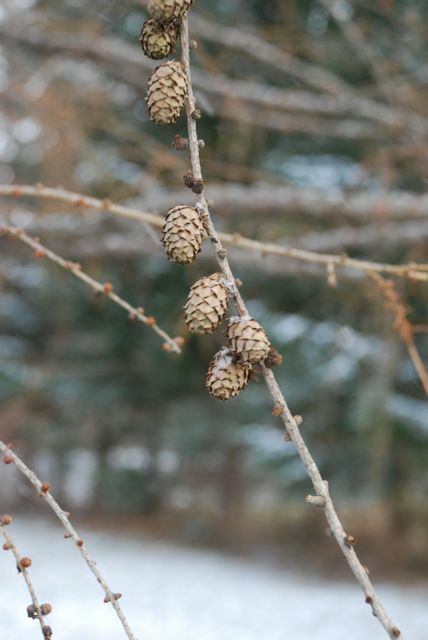 Our mystery cones from last week are from the tamarack larch or American larch, Larix laricina. I was hoping someone would notice that the tree was lacking pine needles or leaves, although it had cones. Here is the same tree in the summer. I love the soft, lacy foliage. 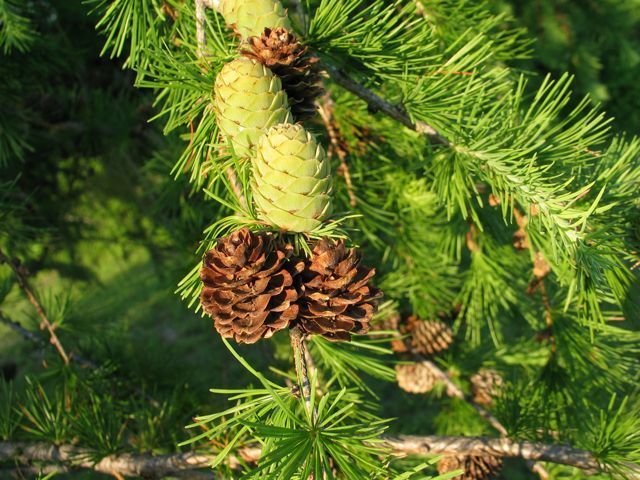 Larch trees are unusual conifers, because they are deciduous. The trees lose their needles/leaves in the winter. Tamarack larch trees grow throughout the Northeast. They are very cold tolerant. Related species grow in northern Canada, Russia and northern Europe. 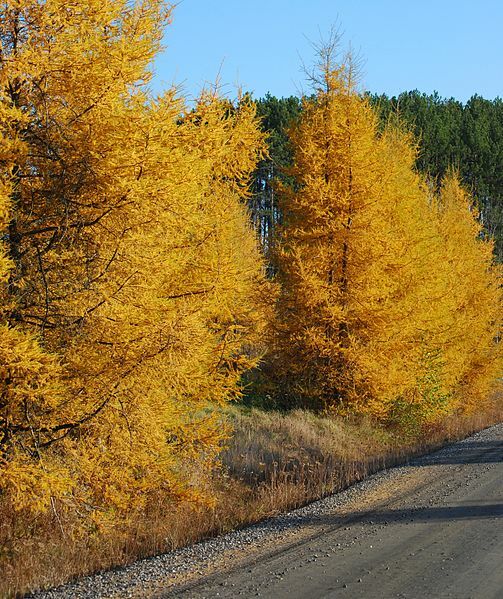 Look at the fall color of this stand of tamarack larch (by Linda Baird-White at Wikimedia)! 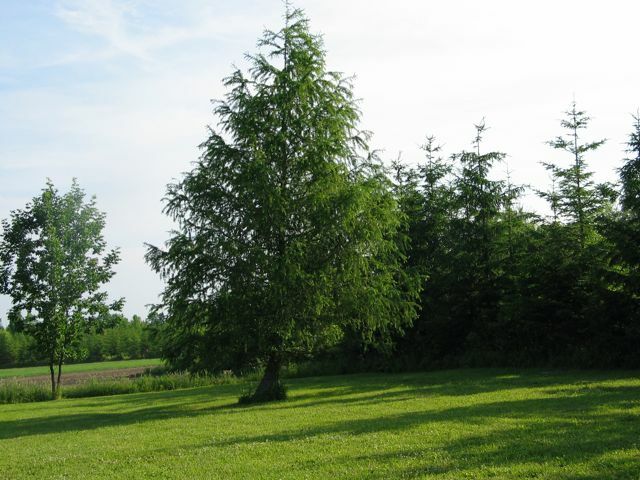 Have you ever seen a tamarack larch? Where was it growing? These are very common in the bogs here. They're really beautiful trees.